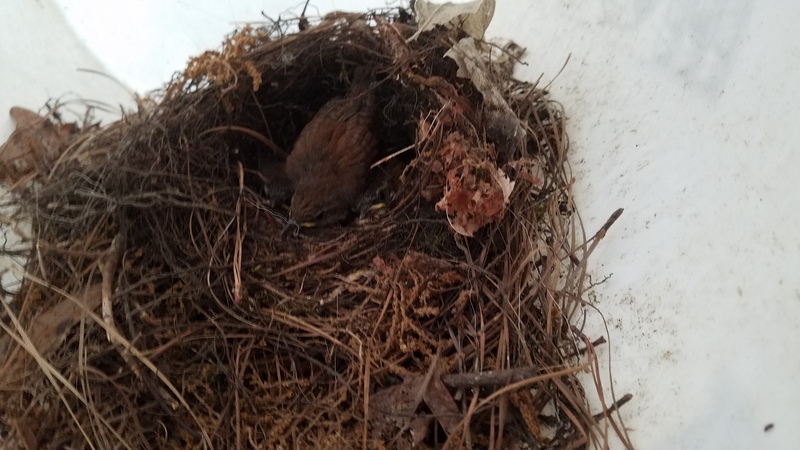 It’s been 12 days since they hatched, and supposedly Carolina wrens fledge in 12-14 days, so they could fly any day now. This entry was posted in Birds and tagged Carolina wren on July 5, 2017 by John S. Quarterman. 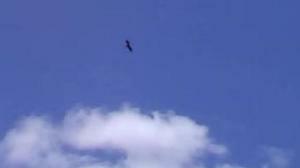 Red-shouldered hawks, split-tailed kites, and buzzards were riding the updrafts mid-day today. You can also hear bluebirds and other birds keeping to the trees. 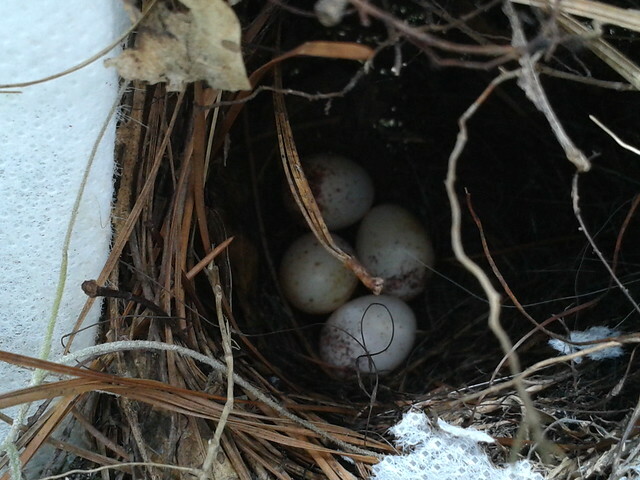 This entry was posted in Birds, Okra Paradise Farms and tagged Birds, buzzard, Georgia, Gretchen Quarterman, John S. Quarterman, Lowndes County, Okra Paradise Farms, Red-shouldered hawk, split-tailed kite on May 17, 2015 by John S. Quarterman. Until the birds get them. 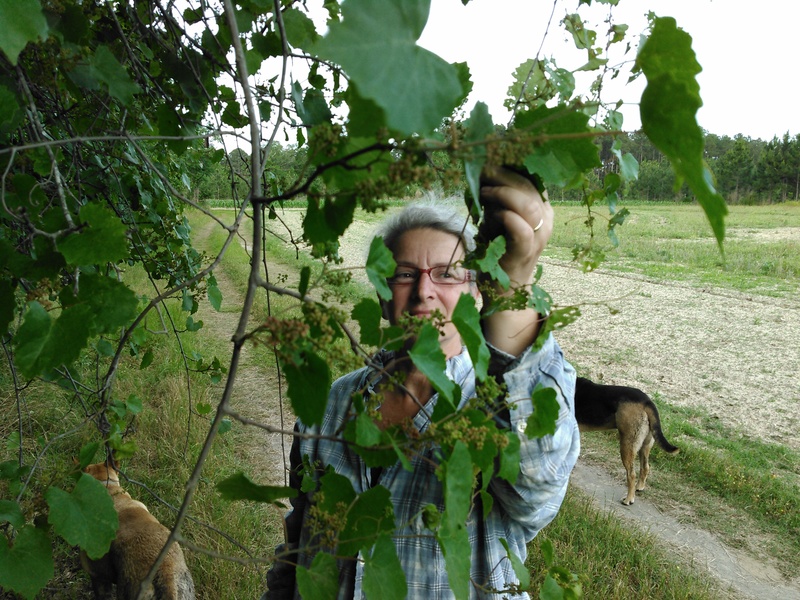 This entry was posted in Birds, Dogs and tagged grape on May 5, 2015 by John S. Quarterman. Basic information for beginning a backyard flock including: breeds, housing, nutrition, egg production and biosecurity. This entry was posted in Birds, Okra Paradise Farms, SOGALO14 and tagged Birds, Georgia, SOGALO14, Tift County, Tifton, UGA on January 15, 2014 by John S. Quarterman. In his book Bringing Nature Home, Dr. Doug Tallamy explains how everyone who loves the wonders of the natural world can contribute to the survival of our native birds, butterflies, and other treasures by providing the native plants needed to support them. Beth Grant has recently obtained permission from Dr. Tallamy to present his slideshow on his findings. By acting on Dr. Tallamy’s practical recommendations, you can make a difference for bio-diversity while bringing endlessly fascinating wildlife to your home. Handouts will be provided. 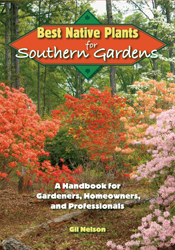 Copies of Bringing Nature Home and Dr. Gil Nelson’s Best Native Plants for Southern Gardens will be available for purchase with all proceeds going to Birdsong Nature Center. This entry was posted in Agriculture, Birds, Okra Paradise Farms, Silviculture, SOGALO14 and tagged Agriculture, Best Native Plants for Southern Gardens, Birds, Bringing Nature Home, Doug Tallamy, Georgia, Gil Nelson, native plants, Silviculture, SOGALO14, wildlife on January 9, 2014 by John S. Quarterman. 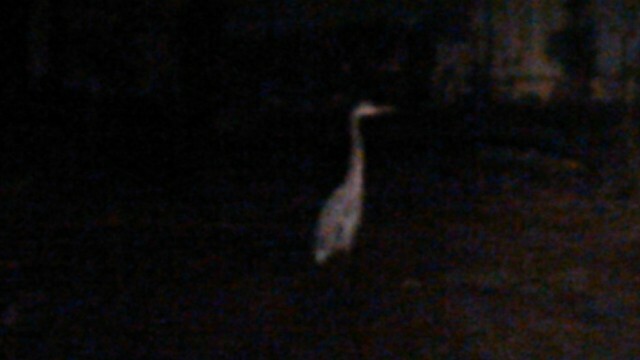 Gretchen left her sand hill crane in the driveway. This entry was posted in Birds, Okra Paradise Farms and tagged 20 November 2013, Birds, Georgia, Gretchen Quarterman, John S. Quarterman, Lowndes County, Okra Paradise Farms, Sand Hill Crane on November 20, 2013 by John S. Quarterman. We are here today because either we love Jane, or we love someone that loves Jane. And I suppose that love sums up what Jane was all about. 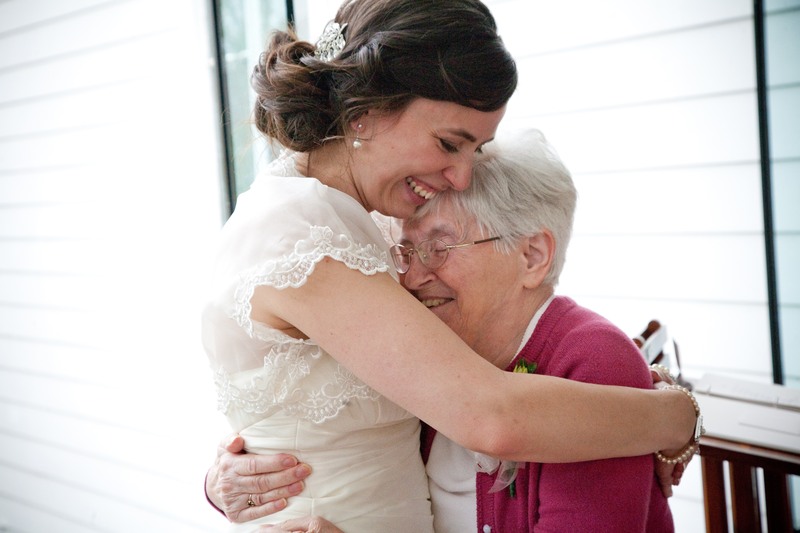 Over the last few days, our family assembled a list of some of the qualities that might be used to describe Jane. This entry was posted in Birds, Books, Dogs, History, Plants, Travel on September 25, 2013 by Gretchen Quarterman. Pictures by John S. Quarterman for Okra Paradise Farms, Lowndes County, Georgia, 2013-07-06. This entry was posted in Birds, Okra Paradise Farms and tagged 2013-07-06, Birds, Brown Dog, clothes pins, eggs, Georgia, Gretchen Quarterman, John S. Quarterman, Lowndes County, Okra Paradise Farms, Yellow Dog on July 31, 2013 by John S. Quarterman. 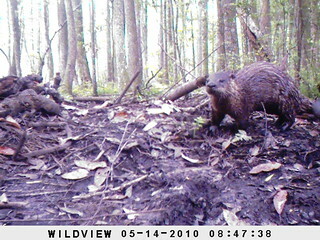 We like our beaver pond, but the beavers are a bit too ambitious. Here’s how they operate. 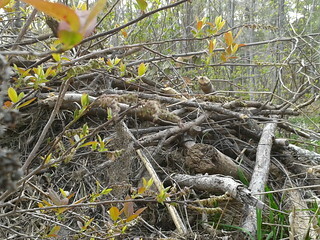 The forest beside the stream also changes after beaver occupation. When beavers cut down trees for food and for building their dams and lodges, they select the species of trees that they prefer, and leave other tree species standing. 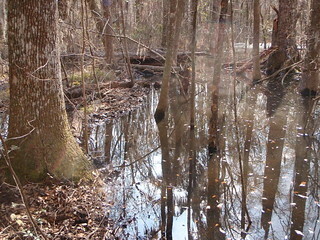 Consequently, after many years, the forest beside a beaver pond is usually dominated by different tree species than it was before beaver occupation, and in the gaps where the beavers removed trees, bushes and saplings now grow and with them the animal species that live in the early stages of forest regeneration (Barnes and Dibble 1986; Johnston and Naiman 1990; Pastor and Naiman 1992; Donkor et al. 2000). In addition, when the beaver pond is formed by the dam, water floods and covers the roots of trees that formerly stood along the stream bank. These flooded trees die because the standing water prevents their roots from getting air…. 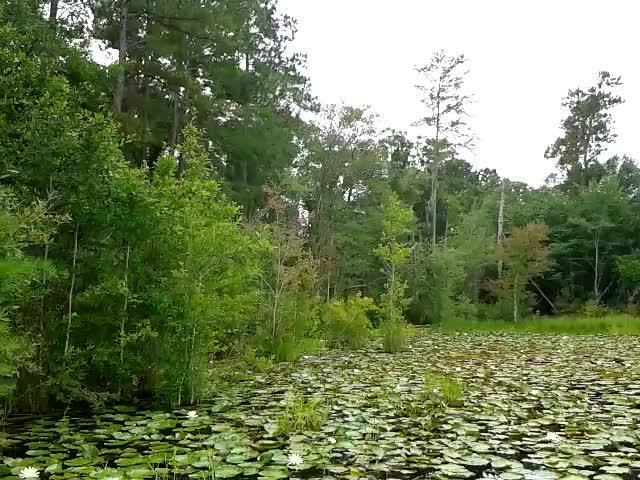 This entry was posted in Amphibians, Beaver, Birds, Dogs, Okra Paradise Farms and tagged Amphibians, Beaver, Birds, Brown Dog, Dogs, Georgia, Gretchen Quarterman, John S. Quarterman, Lowndes County, Okra Paradise Farms, Yellow Dog on July 14, 2013 by John S. Quarterman. Lowndes County, Georgia, 4 July 2013. This entry was posted in Birds, Okra Paradise Farms and tagged 4 July 2013, Birds, Georgia, Gretchen Quarterman, Hawk, John S. Quarterman, Lowndes County, Okra Paradise Farms on July 7, 2013 by John S. Quarterman.